I have no idea what I expected while I was anxiously awaiting this trailer, but I should have figured this Western would be more Pulp Fiction rather than Unforgiven. 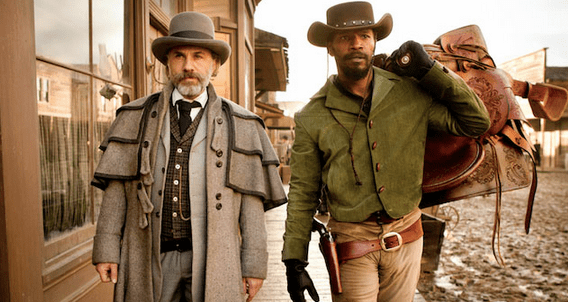 Starring Jamie Foxx, Christoph Waltz, and Leonardo DiCaprio, Django Unchained is a story about a Dentist turned bounty hunter (Waltz) who sets out across America with a freed slave to retrieve Django’s wife from a plantation owner (DiCaprio). The trailer is hip and stylized, I’d expect no less from director Quentin Tarantino.